Goals, oh yes I remember them. 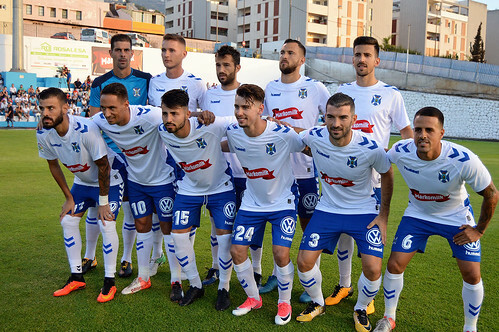 Sadly they have been hard to come by in CD Tenerife´s pre season friendly programme, a mix of unexpected departures, late arrivals, and even a few injuries, but we always seem to fill the last squad places to the last moments of the August transfer window. 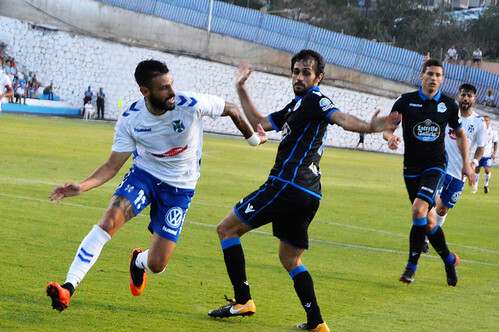 A 2-0 away leg loss to Las Palmas in the Copa Mahou saw only one CDT shot in the second half and was followed by a 0-3 defeat to Deportivo La Coruña at La Orotava. The trip to pleasantly cooler La Orotava was smooth, with a car load of Armada Sur meeting up with a large contingent of Frente Blanquiazul in the plaza of the San Agustin shopping centre. Local police were twitchy about a few social beers being consumed as the Armada Sur tucked into a few bottles at Sinatra´s Bar. I kept thinking of the Sid Vicious version of My Way as we quaffed our pre match Dorada´s. The Los Cuartos ground is a magnificant setting with the pine trees marching up the spreading hills beyond, the three female match officials quickly conducted pre match formalities before starting the game. 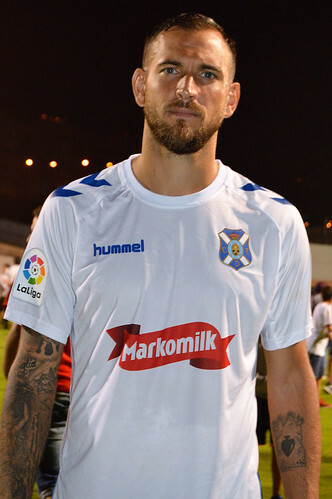 Juan Villar and Victor Casadesus were missing with injuries so Brian Martin and Juan Carlos Real led the attack. Deportivo have a strong squad under former Tenerife manager Pepe Mel and our defence did well to hold them off for 26 minutes before Andone found the net with a header. It was hard for Tenerife to establish any order, our players have had to adopt to strange positions and new partners so quickly. 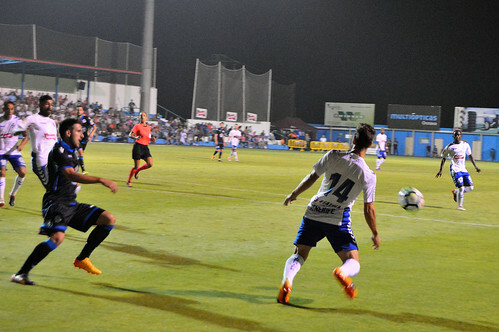 Cartabia finished off another well worked Deportivo attack after 34 minutes and the game was already over. A whole raft of half time changes kept everyone guessing, especially with different numbers in the large and young Tenerife squad again. Suso remained a constant throughout the match and had the best scoring chance, a bad offside call did little to enhance his view of female referees. Crunch time is fast approaching, some of the B team players will surely at least get on the bench for the August league games before the last new faces arrive. Raul Camara was rested for the evening with a view to his suspension for the opening league game. 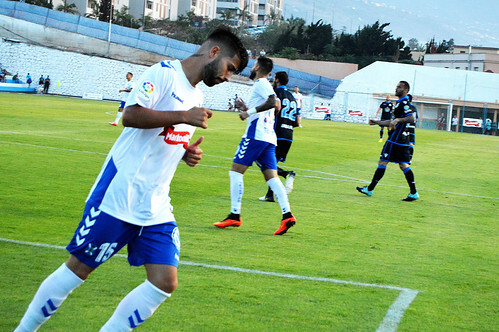 The 3,000 crowd learnt more about Deportivo than their home favourites, Borges completed the scoring after 58 minutes and Deportivo got their hands on the selection of trophies that go with the Teide Trophy title. There´s always a nice relaxed atmosphere around the La Orotava game and as always the crowd were allowed to flood onto the pitch at the final whistle to take pics and pose for autographs. With the grounds snack bar rapidly running out of stock, I made liberal use of the free Markomilk bars being handed out by the match sponsor. The friendlies have at least given our players some match fitness but we are going to be playing catch up as usual when, hopefully, our extra four players slip in before the transfer window slams shut.